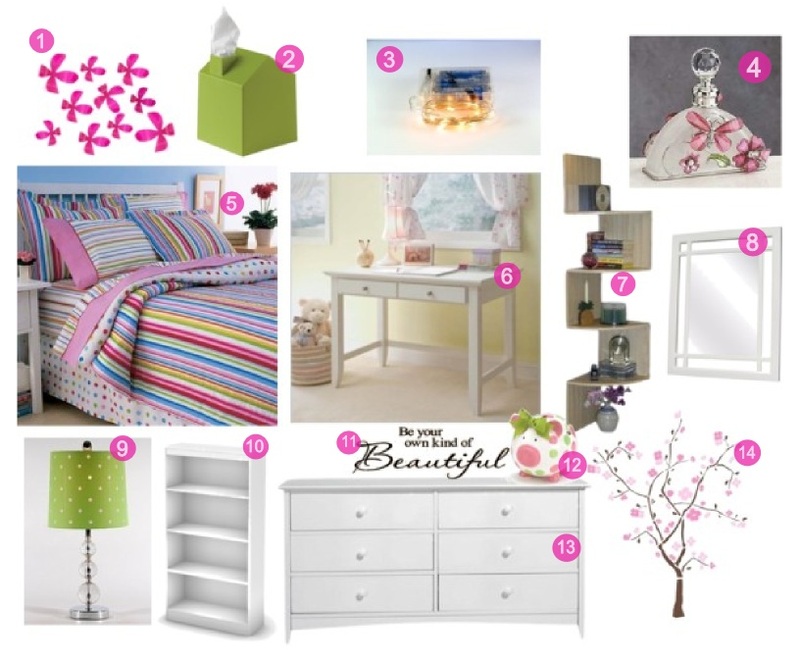 Contemporary Girly Girls Bedroom Decor - Oh So Girly! I noticed that in the TV show Gossip girl they have similar 3D wall decoration in Serena’s bedroom (although theirs is made of butterflies rather than flowers I believe). I love the idea of using a string of lights to decorate the room. They can be used to line the top of the walls, or to wind around bookcases, dressers and other furniture, to add a little bright and magical element to an otherwise ordinary scene!